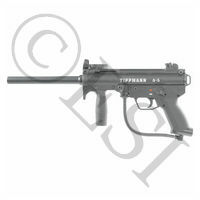 This version of the Tippmann A5 has a reactive trigger (RT) installed. The RT uses gas pressure after each shot to push the trigger forward harder than the shooter pulls the trigger back. 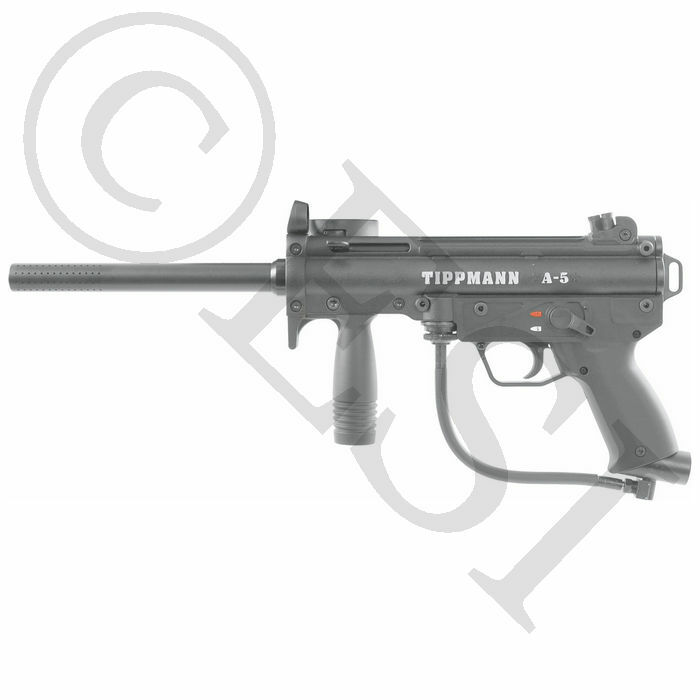 This causes the trigger to rapidly fire, creating short burst of full auto firepower. 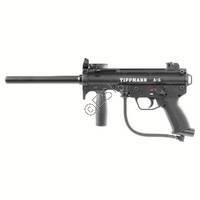 The Tippmann A5 paintball gun is highest end of Tippmann’s “blow-back” marker guns. 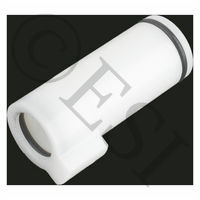 (Blow-back markers use a sear to release a hammer. The spring loaded hammer then hits the main valve, opening it to allow gas to propel the paintball.) 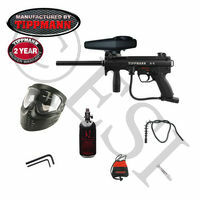 Other Tippmann paintball guns that are internally similar to the A5 include the Tippmann 98 and US Army paintball guns. What makes the A5 unique from these other guns is the included Cyclone Feed system and the “MP-5” design look. The cyclone feed is a hopper system made by Tippmann that uses a gas powered ratchet to load each ball as you shoot. This ensures a jam free shooting experience. The A-5 uses push pins to hold the body together. This makes disassembly for cleaning very fast. The A5 body is die cast aluminum with a flat black powder coat. The gun features a front cocking knob that prevents dirt from entering the gun. The cyclone hopper included will hold 200 paintballs. 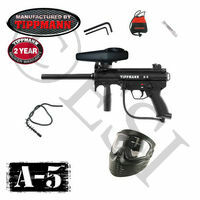 This is the RT version of the Tippmann A5. Two other factory versions are available. One with a mechanical trigger (single shot) and an Electronic version of the A5 that is programmable for fire rates. The A5 accepts many upgrades. Most common are barrels, stocks, two finger triggers, and offset hoppers. Check out the A5 Upgrades section for the complete selection.